It’s Official! 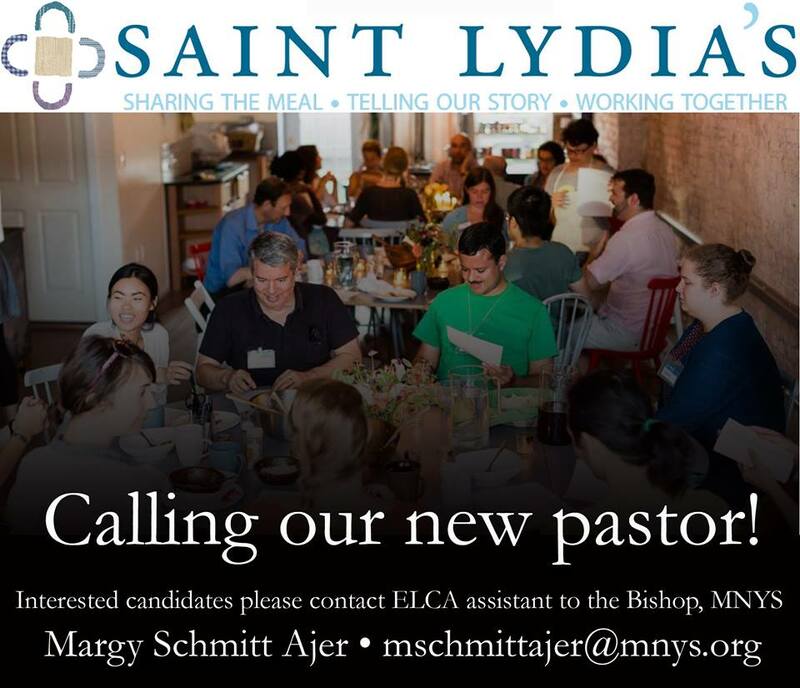 St. Lydia’s is looking for our next pastor. Could that be you, or someone you know? St. Lydia's is a progressive, Queer-affirming congregation in the Gowanus neighborhood of Brooklyn, NY. We work together to dispel isolation, reconnect neighbors, and subvert the status quo. Worship takes place around a meal that we cook together. We explore scripture, sing, tell stories, and pray together. We seek a pastor who is able to connect with the traditions we have established while helping us innovate and grow.